To determine the effect of manuka honey on second-intention healing of contaminated, full-thickness skin wounds in horses. One wound was created on the dorsomedial aspect of the third metacarpus in both forelimbs, contaminated with feces, and bandaged for 24 hours. Bandages were removed and wounds rinsed with isotonic saline solution. Wounds on 1 limb had manuka honey applied daily (n = 8) whereas wounds on the contralateral limb received no treatment (n = 8). Bandages were replaced and changed daily for 12 days, after which treatment stopped, bandages were removed, leaving wounds open to heal. Wound area was measured 24 hours after wound creation (day 1), then weekly for 8 weeks. Overall time for healing was recorded. Wound area and rate of healing of treated and control wounds were compared statistically. Treatment with manuka honey decreased wound retraction and treated wounds remained significantly smaller than control wounds until day 42; however, there was no difference in overall healing time between treatment and control wounds. Treatment with manuka honey reduced wound area by reducing retraction but did not affect overall healing time of full-thickness distal limb wounds using this wound-healing model. The honey bee colonies, with the relevant number of immature brood and adults, and stable, high levels of humidity and temperatures of their nests, result in suitable environments for the development of microorganisms including pathogens. In response, honey bees evolved several adaptations to face the increased risks of epidemic diseases. As the antimicrobial venom peptides of Apis mellifera are present both on the cuticle of adult bees and on the nest wax it has been recently suggested that these substances act as a social antiseptic device. Since the use of venom by honey bees in the context of social immunity needs to be more deeply investigated, we extended the study of this potential role of the venom to different species of the genus Apis (A. mellifera, Apisdorsata, Apis cerana and Apis andreniformis) using MALDI-TOF mass spectrometry techniques. In particular we investigated whether (similarly to A. mellifera) the venom is spread over the body cuticle and on the comb wax of these three Asian species. Our results confirm the idea that the venom functions are well beyond the classical stereotype of defence against predators, and suggest that the different nesting biology of these species may be related to the use of the venom in a social immunity context. The presence of antimicrobial peptides on the comb wax of the cavity-dwelling species and on the cuticle of workers of all the studied species represents a good example of "collective immunity" and a component of the "social immunity" respectively. Numerous studies are being done with Bee Venom Therapy (BVT) for its effect against Parkinson's Disease, Osteoarthritis, Rheumatoid Arthritis, Cerebral Palsy and Multiple Sclerosis. I've also seen BVT used for scar therapy, mole removal, bone spurs, even pain relief! Thanks to medical practitioners like Dr Klinghardt for incorporating BVT into a complementary treatment protocol . - Vagus (X), Glossopharyngeal nerve (IX) and Hypoglossus (XII): difficulty swallowing, faulty swallowing, reflux, hiatus hernia, heart palpitations, supraventricular arrythmias. - Mental: confusion, difficulty thinking, poor short term memory, increasingly messy household and desk, difficulty finding the right word, feeling of "information overload;"
- Mixed pictures: can resemble or imitate any known psychiatric illness. 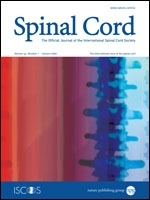 I follow the recommendations of Dr. Zhang, MD, LAc of New York (http://www.dr-zhang.com). 3 tablets three times/day for 6 months. (usually recommended when Babesia is involved). Testing to determine the most effective combination. I rotate different regimes over the 6-month treatment period. When a pregnant cow is infected with a certain illness, her first milk (colostrum) after the calf is born contains specific peptides that prevent the illness in the calf. Based on this principle, specific transfer factors have become available for the treatment of B. burgdorferi, Babesia, Mycoplasma pneumoniae etc. Tel. : 803-663 9618 / ext. 9777). By adding the specific transfer factors into the treatment regime, the success rate can be dramatically increased. Thanks to the Apitherapy Commission for reprinting this article. This supports other clinical cases of healing bed-ridden patients with chronic pressure ulcers, such as CHU, a Hospital in Limoges France, where they found Thyme honey to be most effective in healing stubborn wounds. For 25 years, they've treated thousands of cases of post-operative wounds and bed sores. 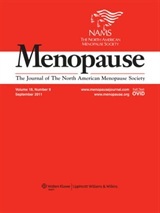 OBJECTIVE: The aim of this study was to evaluate the verbal learning and memory performance of postmenopausal women who received tualang honey (Agro Mas) in comparison with women receiving estrogen plus progestin therapy and untreated controls. 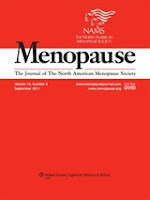 METHODS: A total of 102 postmenopausal women were recruited and randomly assigned to three groups: tualang honey (20 mg/d), estrogen plus progestin therapy (Femoston 1/5), and untreated control. Their verbal learning and memory performances were assessed using the Malay version of the Auditory Verbal Learning Test before and after 16 weeks of intervention. Data were analyzed using the repeated-measures analysis of variance, and a P value of less than 0.05 was considered significant. RESULTS: There were significant differences in the mean scores of total learning as well as the mean scores of trials A1, A5, A6, and A7 between the three groups. There were also significant differences in the overall mean scores of total learning and trials A1 and A5 between both estrogen plus progestin therapy and tualang honey groups when compared with the untreated control group. However, significant differences in the mean score for trials A6 and A7 were only observed between the estrogen plus progestin therapy and untreated control groups. CONCLUSIONS: Postmenopausal women who received tualang honey showed improvement in their immediate memory but not in immediate memory after the interference and delayed recall. This is comparable with the improvement seen in women receiving estrogen plus progestin therapy. Royal jelly is one of the most nutritionally complex foods on the planet with the ability to shore up many nutritional deficiencies and may help people overcome conditions they may have been dealing with for years. Royal jelly is also highly regarded for its brain-boosting capabilities. Whether you are a young student looking for an edge on an exam, a CEO with tremendous demands on your time, or have received the devastating diagnosis of Alzheimer`s disease, royal jelly may be able to deliver remarkable results. Royal jelly is a creamy substance produced by the common worker bee; one of the purposes is of developing and nourishing the queen bee. On this diet of royal jelly, the queen bee will typically grow to be 40 percent larger and can live up to 40 times longer than the worker bee. Royal jelly isn`t just food for the queen bee, it`s her longevity strategy. Royal jelly`s structure and composition has not, so far been replicated by man in any lab. The only lab capable of producing such a substance is the bee hive. This superfood is rich in protein, loaded with B vitamins, and contains many other minerals and nutrients. One of the key ingredients in royal jelly that may have profound implications for improving memory and invigorating mental acuity is acetylcholine. Acetylcholine was the first neurotransmitter discovered. It is found in the brain, spinal cord, and throughout areas of the nervous system. It regulates memory and is needed to transmit nerve messages from cell to cell. Interestingly, royal jelly is the only natural source of pure acetylcholine. Optimal levels of acetylcholine in the brain are associated with improved memory, fluidity of thought, and enhanced cognitive function. Part of the wonderful symmetry of nature is its ability to deliver a formidable solution equivalent to virtually any problem you encounter. Though conventional medicine has not found a cure for Alzheimer`s disease, royal jelly may offer substantial benefits. Alzheimer`s disease is a progressive, degenerative, neurological disease that is thought to be irreversible. It usually afflicts people after the age of 65 and is the fourth leading cause of death among adults. The pathology of Alzheimer`s disease includes the presence of extracellular plaques (clusters of dead and dying nerve cells) and intracellular "neurofibrillary tangles" (twisted fragments of protein within nerve cells). These plaques and fibrous entanglements in the brain disrupt lines of communication and inhibit the production of acetylcholine. This leads to loss of memory, anxiety, irritability, and difficulty in expressing thoughts. Most traditional treatments pursued by Western medicine try to increase levels of acetylcholine in the brain of the Alzheimer`s patient. These drugs attempt to raise the levels of acetylcholine by inhibiting the enzymes that lead to the breakdown or degradation of acetylcholine. Royal jelly, however, can raise levels of acetylcholine without the side effects often associated with the use of medications, such as nausea and liver toxicity. Initially when looking at royal jelly as a brain-boosting strategy, it may appear cost prohibitive. Keep in mind that this gift from the hive is truly one of the elite superfoods available anywhere. It is also highly potent and concentrated, so a little goes a long way. It can be found in its traditional, jelly-like form and ingested directly. Also, modern advances in formulation technology have made it available now in a freeze dried, powdered form that is perfect for mixing with smoothies or adding to a homemade sports drink. New research from Turkish researchers confirm the protective properties of Royal Jelly against damage caused by anti-cancer therapies. Could this be new ground towards complementary alternative therapies? Cisplatin (CDDP) is one of the most active cytotoxic agents in the treatment of cancer and has adverse side effects such as nephrotoxicity and hepatotoxicity. The present study was designed to determine the effects of royal jelly (RJ) against oxidative stress caused by CDDP injury of the kidneys and liver, by measuring tissue biochemical and antioxidant parameters and investigating apoptosis immunohistochemically. Twenty-four Sprague Dawley rats were divided into four groups, group C: control group received 0.9% saline; group CDDP: injected i.p. with cisplatin (CDDP, 7 mg kg(-1) body weight i.p., single dose); group RJ: treated for 15 consecutive days by gavage with RJ (300 mg/kg/day); group RJ + CDDP: treated by gavage with RJ 15 days following a single injection of CDDP. 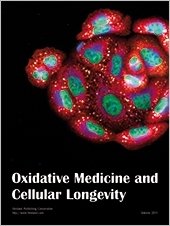 Malondialdehyde (MDA) and glutathione (GSH) levels, glutathione S-transferase (GST), glutathione peroxidase (GSH-Px), and superoxide dismutase (SOD) activities were determined in liver and kidney homogenates, and the liver and kidney were also histologically examined. RJ elicited a significant protective effect towards liver and kidney by decreasing the level of lipid peroxidation (MDA), elevating the level of GSH, and increasing the activities of GST, GSH-Px, and SOD. In the immunohistochemical examinations were observed significantly enhanced apoptotic cell numbers and degenerative changes by cisplatin, but these histological changes were lower in the liver and kidney tissues of RJ + CDDP group. Besides, treatment with RJ lead to an increase in antiapoptotic activity hepatocytes and tubular epithelium. Recently, royal jelly (RJ) has received particular attention because of studies that have reported that it is a highly efficient antioxidant and has free radical scavenging capacity [4, 15]. Royal jelly is a secretion produced by the hypopharyngeal and mandibular glands of worker honeybees (Apis mellifera). It contains many important compounds with biological activity such as free amino acids, proteins, sugars, fatty acids, minerals, and vitamins . So far, RJ has been demonstrated to possess several physiological activities in experimental animals, including vasodilative and hypotensive activities , the induction of decrease in serum cholesterol levels , antimicrobial , antiallergic , anti-inflammatory , immunomodulatory [22, 23], and antioxidant properties . In addition, Kanbur et al. revealed the protective effect of RJ against paracetamol-induced liver damage in mice. 3) boost your immune system! bee venom therapy has been used for arthritis, scar therapy, even used to remove moles. Bee venom (BV), which is extracted from honeybees, is used in traditional Korean medical therapy. Several groups have demonstrated the anti-inflammatory effects of BV in osteoarthritis both in vivo and in vitro. Glutamate is the predominant excitatory neurotransmitter in the central nervous system (CNS). Changes in glutamate release and uptake due to alterations in the activity of glutamate transporters have been reported in many neurodegenerative diseases, including Parkinson's disease, Alzheimer's disease, and amyotrophic lateral sclerosis. To assess if BV can prevent glutamate-mediated neurotoxicity, we examined cell viability and signal transduction in glutamate-treated neuronal and microglial cells in the presence and absence of BV. We induced glutamatergic toxicity in neuronal cells and microglial cells and found that BV protected against cell death. Furthermore, BV significantly inhibited the cellular toxicity of glutamate, and pretreatment with BV altered MAP kinase activation (e.g., JNK, ERK, and p38) following exposure to glutamate. You are attacking a flying pharmacy. Mankind has mistreated bees for centuries, and our ignorance means we’ve lost the chance to eradicate a host of lethal diseases. With help from a team of Yorkshire-based bee lovers, we could be about to get a second chance. Entrepreneur James Fearnley plans to establish a centre in the North York Moors which will study how bees can improve our health. Mr Fearnley predicts that the centre will create 10 jobs in the heart of the National Park, at a time when the public sector spending squeeze is making life harder for rural communities. Mr Fearnley, who is the founder of Whitby-based Nature’s Laboratory, believes it would be the height of folly to take bees for granted. His company is behind the BeeVital brand, which develops products derived from bees. The long term survival of the honey bee is in question while researchers are discovering some “astounding medicinal properties for products produced by honey”, according to Mr Fearnley. ”Everyone now knows about the antibiotic properties of honey, but we have discovered that bees are collecting a chemical antidote to Trypanosomiasis (sleeping sickness) but only in areas where sleeping sickness is found,’’ he said. If Mr Fearnley’s initiative succeeds, Yorkshire could become a global centre for the study of bees. Conférence scientifique, vulgarisée et ponctuée d'humour sur les bienfaits du miel. Composition, principes actifs et applications thérapeutiques générales du miel, ainsi que les différences entre les miels en termes de composition et de propriétés biologiques selon leurs origines florales. Tout au long de la conférence, les applications du miel seront illustrées par des exemples concrets de produits commerciaux et de publications scientifiques choisis à travers le monde. Benjamin POIROT, Docteur en Biochimie et Biotechnologie, codirigeant et responsable recherche & développement Apinov, membre du comité d’experts scientifique de l’AFA, membre de la chambre des experts agrées Communauté Européenne. Rappels cliniques, les pièges à éviter, l'apithérapie, mais aussi l'aromathérapie, la phytothérapie, l'homéopathie la MTC. Docteur Stéphane SAMMUT, Docteur en Médecine Générale orientation pédiatrique, membre du comité d’experts scientifique de l’AFA. Docteur Stefan Stangaciu et Catherine Ballot Flurin. The American Apitherapy Society proudly announces its 2011 Charles Mraz Apitherapy Course & Conference to be held in New Orleans, Louisiana Nov 4-6 2011. For the first time ever we are offering 2 course levels, one for those new to apitherapy and the other for those who are already familiar with or are already practicing apitherapy. Medical doctors, a spectrum of holistic health practitioners, veterinarians, researchers, backyard beekeepers, and members of the general public interested in self-reliant health care will convene from all over the United states and the world to learn about apitherapy. Apitherapy, an ancient healing modality, refers to the therapeutic use of products from the beehive: honey, pollen, royal jelly, propolis, and bee venom therapy. Attendees will receive education on basic and more advanced levels on the products of the hive and their therapeutic properties including a hands on bee venom therapy workshop where participants can obtain practical experience with this healing practice. Presentations are given by the CMACC faculty who are some of the most prominent and experienced Apitherapists in the country. 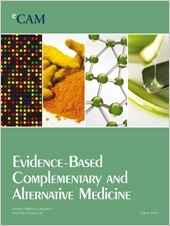 Examples of material covered in these presentations are allergic reactions, techniques of BVT, informed consent and legal issues, propolis and cancer, veterinary apitherapy, patient intake for apitherapy, and much more. An exam is given to ascertain comprehension of the material in the course and certificates of completion will be issued. The AAS is a nonprofit membership organization established for the purpose of education about apitherapy. CMACC has been named in memory of Charles Mraz, an American pioneer in the use of bee venom to treat diseases. Visit www.apitherapy.org where with a single click you can access all CMACC information, register and pay online. Don’t miss out on the EARLY BEE DISCOUNT by making sure you register by Friday, September 23rd. Do join us for the Friday night dinner to network with others and experience the New Orleans cuisine. Don’t forget to mention AAS when booking your hotel room in order to receive a special rate valid until October 6th. Membership to AAS is included with the course fee. Cough due to upper respiratory tract infections (URIs) is one of the most frequent complaints encountered by pediatric health-care providers, and one of the most disruptive symptoms for children and families. Despite the frequency of URIs, there is limited evidence to support the few therapeutic agents currently available in the United States (US) to treat acute cough due to URI. Published, well-designed, contemporary research supporting the efficacy of narcotics (codeine, hydrocodone) and US Food and Drug Administration (FDA)-approved over-the-counter (OTC) oral antitussives and expectorants (dextromethorphan, diphenhydramine, chlophedianol, and guaifenesin) is absent for URI-associated pediatric cough. Alternatively, honey and topically applied vapor rubs may be effective antitussives.